This small marker and the remnants of the foundation mark the location of the Morris Academy, a landmark co-educational institution. The Academy was the brainchild of James Morris III, who was born on January 19, 1752 in South Farms (which, in 1859 was renamed Morris in his honor). Morris’ father James was a deacon, and the son harbored hopes of entering the ministry. An enthusiastic reader, young James routinely traveled to Bethlehem to borrow books from that town’s library. His education, which began with these library books, was guided by three remarkable teachers. At eighteen, Morris began studies under Bethlehem’s Dr. Joseph Bellamy, one of the leading theologians of the late 18th century. 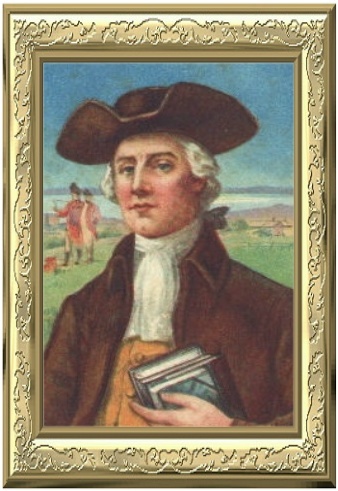 It is reported that Morris also studied under Nathan Hale, before enrolling at Yale. 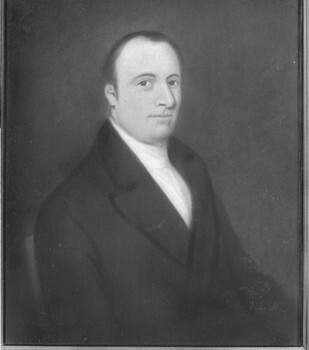 While at Yale, Timothy Dwight, later president of the university and one of the leading figures in American educational history, served as Morris’ tutor. Following his graduation, Morris returned home to help on the family farm, teach students in Litchfield, and ponder a future in the ministry. The Revolutionary War, however, got in the way. He served first in the Connecticut Militia, then in the Continental Army, fighting on Long Island, at White Plains, and at Germantown, Pennsylvania, where he was captured. Upon receiving parole, he hurried to Yorktown, Virginia, where he served Alexander Hamilton during that climactic battle of the Revolution. After the war he returned home and married Elizabeth Hubbard, with whom he raised five children. His fellow townspeople elected him both justice of the peace and a selectman. 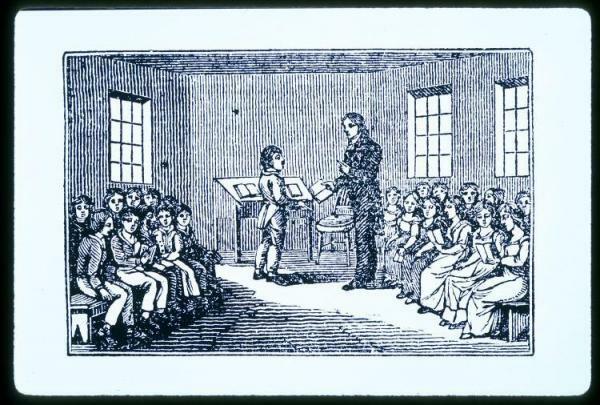 By 1790, however, when children began regularly showing up at his door, Morris put aside his ideas about the ministry and looked instead for a career in education. Rare for his time, Morris accepted both boys and girls as students. This sparked significant discussion, as many believed that education would cause women to lose sight of their more traditional roles. In 1794, a town hearing was held about the situation, and any charges against Morris were dismissed. By 1800, Morris’ school had grown so large that a formal structure was needed. Wealthy subscribers were enlisted from the area to subsidize the $1,200 cost of the building, which opened on November 28, 1803. (The building stood on the property where the James Morris School stands today) By that time, Morris had educated students from all of the New England states except Rhode Island, as well as New York, New Jersey, Pennsylvania, Maryland, Virginia, South Carolina, Georgia and the West Indies. He averaged between 50 and 75 students a year. While Morris died in Goshen in 1820 (he is buried in East Morris), the school remained open until 1888. As Barbara Nolen Strong wrote in her 1976 book on the Morris Academy, “The Morris Academy is entitled to be called a pioneer institution because of its ‘open door’ policy in coeducation. It was not the first in the United States, not even in Connecticut, but none of the other early academies opened their doors as wide and kept them open as long. No other coeducational academy spread its influence so far.” In a fitting gesture to the impact of James Morris on the community, the town of South Farms changed its name to Morris in 1859. 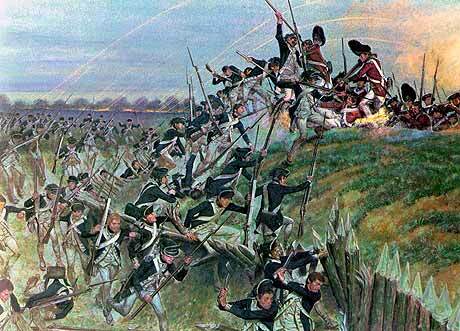 This entry was posted in Architecture, Education, History and tagged Morris, Revolutionary War, schools by pvermily. Bookmark the permalink. The foundation is actually the foundation of the Grange building that was moved there from across the street when Morris Community Hall was built in the 1930s.There is a stone step by the granite marker that was the step to the Academy building.